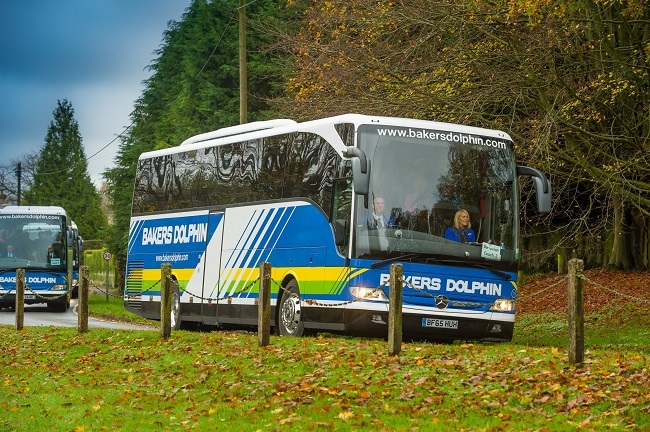 Easy to reach and offering a warm welcome to coaching groups, this magnificent Oxfordshire stately home was recently voted Attraction of the Year by the leading UK travel trade association, UK inbound. 2017 is also special for Blenheim Palace as it celebrates its 30th anniversary as a UNESCO World Heritage Site. Spring, and especially Easter, is a special time of year for this amazing venue and there are many Easter treats planned for visitors this year from 14th-17th April. These include a Giant Easter Egg Hunt, Vintage Funfair, Face Painting, Punch & Judy Shows, Have a Go Archery, Butterfly House, Bouncy Castle and so much more. Ensure you allow plenty of time for lunch and afternoon tea in the lovely restaurant and lots of shopping. Bottle feed baby lambs, find hidden Easter eggs, or take a white knuckle ride down the white water rapids – there are a host of fun activities coming up in the Lee Valley this spring. 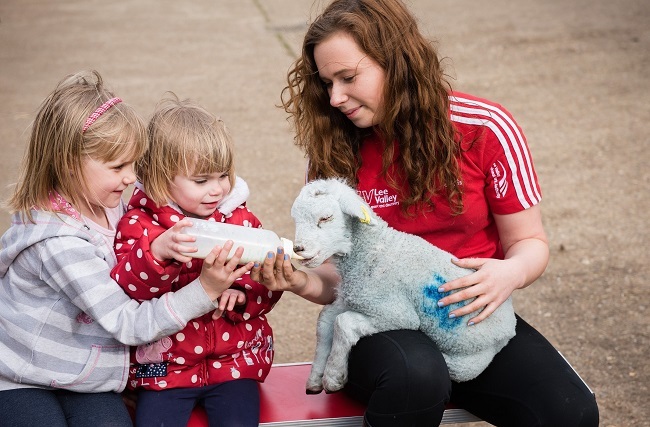 The Waltham Abbey farm, which is celebrating its 40th birthday this year, is also expecting its usual ‘Baby Boom’ of newborn animals over the Easter holidays. 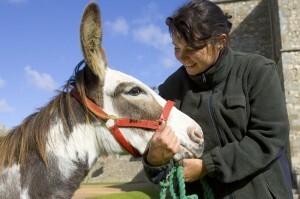 New arrivals are expected at the farm between Sunday 2nd April and Monday 17th April. Children, as well as being able to feed milk to some of the new born lambs, can say ‘hello’ to many of the 300 animals at the Waltham Abbey farm, including Meerkats, chinchillas, guinea pigs, rabbits, tortoises and some exotic species such as Bearded Dragons. They can take a ride on Tex the Tractor to the working dairy farm and try delicious homemade cakes and freshly prepared food in The Bumblebee Café. Lee Valley Park Farms: open daily until 29 October 2017. Price: Standard entry for all: £9 including Adult (18+), Child (2 – 17), Concession (senior citizen or registered disabled); Under 2s go FREE. Take a thrilling white knuckle ride down the rapids at Lee Valley White Water Centre. The venue’s new season has opened and rafting is available right throughout the spring to winter. Other fun activities planned at the centre include Family Rafting, available to children aged 10 and over, starting in early April, and ‘tubing’, planned for summer weekends – an exhilarating ride down the rapids in a ring-shaped dinghy! Further exciting white water activities coming up at the venue include Hydrospeeding, which is similar to bodyboarding, but on fast flowing white water and Hot Dog sessions, two person inflatables providing a heart pumping introduction to kayaking on the rapids. Plus, additionally, from Easter, there will be Go Sup – stand up paddle boarding on the lake, which children as young as eight can try. Families can also test the 140 tonnes of golden sands with their bucket and spade at the venue’s beach area, open for visitors to have FREE fun. Lee Valley White Water Centre, Station Road, Waltham Cross, Hertfordshire, EN9 1AB. www.gowhitewater.co.uk or call 03000 030 610. Learn practical skills on this creative course hosted by the Lee Valley Ranger Team. Learn about different trees and their properties and about plaque cutting with bow saws. Grown ups and children will love making Easter themed keepsakes that they can take home. Celebrate Lee Valley Park’s 50th Anniversary with ‘Wild Wednesday’ family events taking place every Wednesday during the school holidays! Discover the magic of seasonal change through a fun filled afternoon of spring related activities, including arts and crafts, seed planting and spring games! Booking : Pre-booking is recommended for Wild Wednesdays activities as there are limited spaces for each event. By booking online you will receive a 10% discount! There will be a limited number of spaces available on the day. Join in celebrations for Easter with live music and an Easter egg hunt for the kids! Who can find the most eggs? Bring along family and friends and make a day of it this Easter. Throughout the weekend there will be flat water paddling and legacy activities available for everyone who wants to get involved. There will also be the chance to watch Britain’s best canoeists battle it out for a place to represent team GB in the European and World championships! Lee Valley White Water Centre, Station Road, Waltham Cross, Hertfordshire, EN9 1AB; www.gowhitewater.co.uk or call 03000 030 610. For more information go to: visitleevalley.org.uk/whatson or call 03000 030 610. Compton Verney is looking fabulous! As the flowers starts to bloom, now is the perfect time to escape to the countryside. Discover Britain’s relationship with the rural idyll with their current exhibition Creating the Countryside. Search for clues to win chocolate prizes with Easter trails and egg hunts, make an Easter bonnet, wander around spring gardens or simply enjoy a traditional Easter lunch with friends and family. Visitors can enjoy a host of events across the five Shakespeare Family Homes. Join the curious creatures at Zoolab’s Tudor Workshop at Mary Arden’s Farm, build and fly a kite at Anne Hathaway’s Cottage and create a finger puppet show at Shakespeare’s New Place. Take part in an Easter Rabbit Hunt at Hall’s Croft and explore the house and gardens to find William Rabbit. The Hunt is on at Shakespeare’s Birthplace! Track down the treasure with the help of music, comedy and fun with the in house acting troop, Shakespeare Aloud! Warwick Castle will launch an augmented reality experience – the first of its kind for a family attraction – to bring The Kingmaker to life. Downloadable for free from app stores, the app extension will include animations, puzzles, quizzes and a quest to become one of Richard Neville, Earl of Warwick’s loyal knights to fight the Wars of the Roses. Entry from £13 per person when booked online 5 days in advance. Head over to Knight’s Village for an egg-tremely comfortable night’s sleep in a lodge before a hearty breakfast and the chance to see more of the Castle the next day!Easter breaks cost from £79.70 per person per night. As well as lots of new bizarre machines to play with, The MAD Museum has a NEW interactive area called the ‘MAD Zone’. Visitors will find a giant marble wall to build marble runs, there’s also a hands-on cogs wall to experiment with and a table full of building blocks to build crazy marble run routes on. Work together to solve and unravel puzzles in the free family activity pack and enter the design competition to win prizes! There is something for visitors of all ages to discover at Stratford Butterfly Farm. Twice daily children can get close to some amazing creatures with ‘Meet the Minibeast’ handling sessions in the Discovery Zone. The Farm has recently opened new toilet facilities which are accessible from the Discovery Zone and include disabled and baby changing facilities. Compton Verney Forest Schools take place on 13 & 20 April from 11am – 4pm when all the family can explore the different bugs and mini-beasts that are getting ready for spring. Discover the seasonal changes to the plants and trees with a fun selection of crafts and games. From 14 – 17 April design and create your own hat to wear over the Easter weekend. Choose flowers, ribbons, colours and stickers to decorate a bonnet, hat or crown. At Hill Close Gardens inWarwick see heritage daffodils, primroses, cowslips and other flowers dotted around the 16 individual plots. From 15 – 17 April visitors can see themed displays of Victorian Easter traditions in the cafe and summerhouses. This year on display will be clothing from the Victorian period including gardening clothes and odd facts associated with the Victorian look. Refreshments will be served in the cafe; transformed into a Victorian tearoom. Entry adults £4, children £1 (Under 5s, HCGT and RHS members free). The Big Batsford Chicken Hunttakes place from 8 – 23 April.Find the chickens that laid the eggs, all hiding at Batsford Arboretum – simply mark their locations on the map provided to win a prize! The chicken hunt costs £2.50 per child, plus Arboretum admission fee (children must be accompanied by an adult). Visit Stratford Artshouse on 12 April at 11.30am and 2pm to see “The Amazing Bubble Man” with Louis Pearl. Louis combines comedy and artistry with live music, audience participation and spellbinding bubble tricks. From fog-filled, helium-propelled rocket bubbles, to tornado bubbles, the Bubble Man conjures shrieks of laughter from all ages. Tickets cost £12, concessions £10 (children only) & a family ticket is £40. Be a challenge champion at Kenilworth Castle from 14 – 17 April and be greeted by a courtly character from the past that will help you crack clues as you explore theCastle. There’s even a reward for successful adventurers! Join the British Motor Museum for some ‘cracking’ good activities. Enjoy an Easter Egg hunt with Shaun the Sheep over the Bank Holiday weekend or during the week, explore the ‘Sublime Science’ shows and get interactive with ‘hands on’ activities plus there are lots of other ‘eggtastic’ activities each day. Take part in a series of workshops at Playbox Theatre. For 3 – 6 year olds, there are 8 themed half day workshops which run from 10 – 21 April and include movement, music, storytelling, craftwork and role play. The cost is £22 (£19.50 for Playbox Members) including lunch. Also available are whole day workshops from 10 – 19 April which include theatre techniques such as action, movement, voice, storytelling and design. The cost is £45 (£40 for Playbox Members) including lunch. From 13 – 22 April, enjoy a performance of Lion Boy, suitable for all the family and based on the novels by Zizou Corder. Enjoy lunch at El Greco with Laura van der Heijden and Julian Lloyd Webber on 11 April (only for Friends of Orchestra of The Swan). This exclusive event, which includes a 3-course lunch, gives friends the opportunity to put their questions to Laura and Julian. In the evening at Stratford ArtsHouse see a concert performed by Laura who plays Tchaikovsky, a neo-classical work of fine craftsmanship matched with two of Mozart’s most popular and well-known works. Tickets cost from £9.50 to £27.50. Tuck into a Good Friday fish supper at Mallory Court on 14 April with a 3-course meal in The Brasserie for £25 per person. Or on Easter Sunday enjoy a 3-course menu in the Main House for £45 per person or in The Brasserie for £27.50 per person. Head over to The Arden in Strafford-upon-Avon for Easter Sunday with live Jazz on 16 April. Enjoy a Sunday lunch in The Waterside Brasserie with Easter treats. Costs from £32.50 per person. Enjoy lunch at The Bell in Alderminster on Easter Sunday with a free egg hunt for children. Diners can enjoy lunch off the a la carte menu so there is plenty of choice! The Globe in Warwick will be entertaining children while the grown-ups relax by putting on a series of egg hunts with prizes throughout the Easter weekend. For more information and holiday ideas in Shakespeare’s England please visit the http://shakespeares-england.co.uk or call 01789 260 677. Wightlink Ferries has compiled a list of its top five activities for a family trip to the Island this Easter. From Blackgang Chine’s Underwater Kingdom, to Arreton Barns’ Easter egg hunt, there are plenty of reasons to cross the Solent in April. On 12, 16 and 17 April, Blackgang Chine is celebrating the opening of the Underwater Kingdom with a series of special celebration days – featuring the world’s tallest bubbleologist, mischievous pirates and more. The Underwater Kingdom has a specially commissioned musical walk which immerses you in the experience and takes you into another world of underwater caves, coral reefs, and shipwrecks. All this will accompany a host of other activities for the Easter holiday at Blackgang Chine, with resident dinosaurs and dodos roaming the park causing tomfoolery and mayhem. Families can join Arreton Barns on 16 April for their annual Easter Egg hunt. The hunt is open to children ages 12 and younger and any young explorer who collects three counters can exchange them for a chocolatey prize. Not only is this a fun-filled hunt, but all of the profits will be given to Beaulieu House Respite Centre, supporting Island children with severe disabilities and their families. 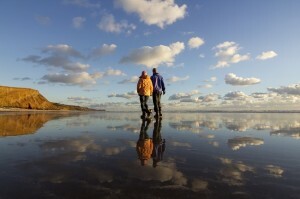 Take in the beauty of the Isle of Wight’s scenery from the comfort of the Isle of Wight Steam Railway. From 14-17 April, young passengers can take part in craft sessions and an Easter bonnet parade, before searching for the Golden Duck in the Easter Treasure Hunt. The Haven Falconry will also be putting on flying displays as part of the day out – as guests experience the Train Story Discovery Centre – a new, huge exhibition space, bringing the history of the railway to life. The arrival of warmer weather means that there is more to enjoy for families heading to the Newton National Nature Reserve for guided tours this Easter. Families can take in Newton and the town’s resident birds, or use technology to follow a geocache trail with a smartphone or GPS to follow the clues and locate the secret geocaches (8-23 April). Not only are there a whole host of Easter activities to enjoy, the Island is also the perfect place to explore on foot or two wheels. Boasting over 500 miles of well-maintained footpaths and award-winning beaches, families can bring their bikes to cycle or simply don their trainers to walk across the stunning coastal and countryside landscape. With all this and more available over Easter, the Isle of Wight offers the perfect family getaway. Wightlink Ferries carries visitors over to the Island quickly and conveniently, meaning a short break or day trip couldn’t be easier. Leading Somerset tourist attraction Wookey Hole Caves has extended its Easter offering to fit in with varying school holiday dates in 2017. The Easter holiday is traditionally planned over a two-week period at the attraction, but this year Easter fun will be available from Saturday 1 April until Sunday 23 April to ensure all families can enjoy the special activities. 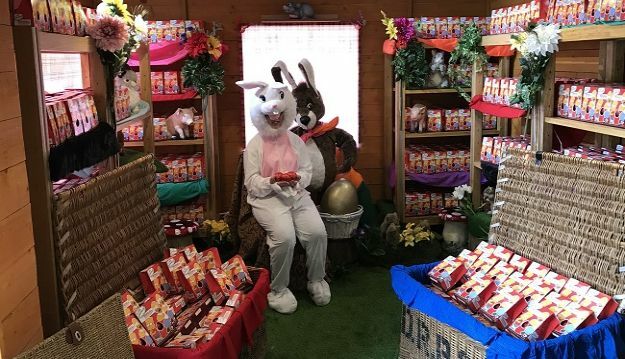 The Wookey Hole Easter Egg Hunt is back this year and will see hundreds of children turn detective to scavenge for chocolatey goodies.Over 100,000 chocolate eggs will be handed out to children who complete the Easter Trail where mini foragers search for hidden eggs and discover clues. Every child that takes part will receive a full-sized Easter Egg from the Easter Bunny in the Easter Bunny’s Magical Den. The attraction is also launching a brand new movie ‘Happy Family’ which will be shown at the 4D cinema experience which will take visitors on an epic adventure and transport them to a new dimension. There’s an explosive mix of history, mystery and fun to discover at Wookey Hole Caves with 20 indoor and outdoor attractions including the Victorian Penny Arcade, Pirate Island Adventure Golf, Wizard’s Play Castle and more. 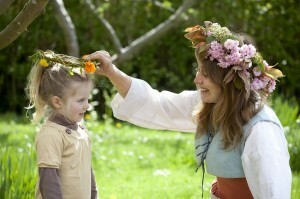 The Witch of Wookey Hole will be meeting and greeting families along with and her friend the Easter Bunny. To top all this off, families will experience the world-famous ancient caves, including tunnels and caverns opened up only last year after three tonnes of explosives and thousands of detonators were used to blast through 1000 tonnes of rock. Visitors can explore a spectacular cavern, revealed for the first time, with its rock formations and a stunning subterranean lake that was previously only seen by cave divers and underwater adventurers. The show-stopping Circus will be performing a brand new show, using the latest in laser technology. Performers will showcase an eye-popping variety of acts which will be performed daily in the theatre from the 1st-17th April and on the 22nd and 23rd April. From the 18th-21st April Circus Skills Workshops will be run between 1pm-4pm. The Witch of Wookey Hole, who will be meeting and greeting families, said: “Easter is one of the most popular holidays at Wookey Hole Caves as the weather is usually on the up so families can enjoy both our indoor and outdoor attractions. “We have over 20 all-weather attractions for people to do, see and experience so it’s great value for money and with the Wookey Hole Hotel a short stroll away families can explore at their leisure over a couple of days. We have now added luxury lodges with hot tubs too, so a real treat can be had by staying with us over Easter. “The mega Easter Egg hunt is great fun and we’re sure our offering will capture imaginations and create memories for years to come. Easter Holidays run from 1 April to 23 April at Wookey Hole Caves. Accommodation packages are available at the Wookey Hole Resort and discounts can be found on the website.